What is a note? Notes have a lot of meaning and uses depending on how and where it is going to be used. A note could be a short detail of something. It can also be informational notes to aid one’s memory or even a notice to have something done or paid. Examples of notes are a customized clinical note and delivery notes. 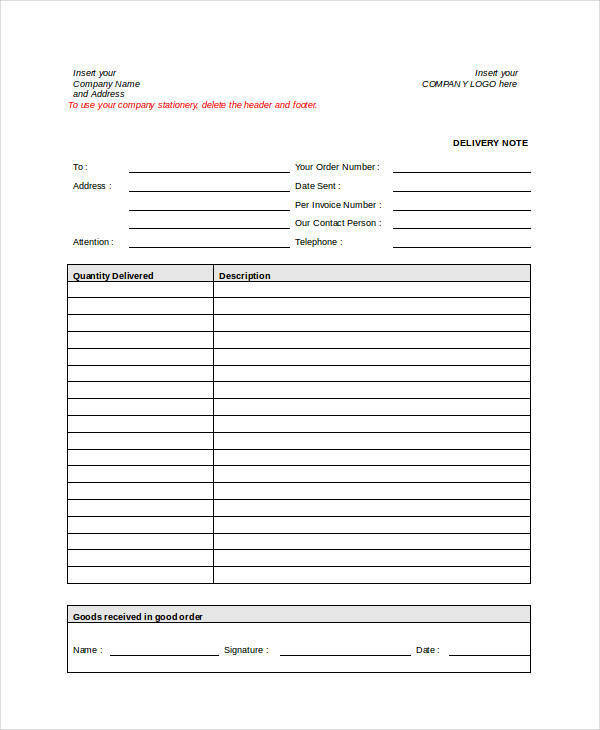 There are a lot of note ideas that one can get online including these 8 delivery note templates. Each of the note templates attached here has been designed to fit your needs. You can view and download them whenever you want. The part is they are all free so you won’t have to spend a penny. 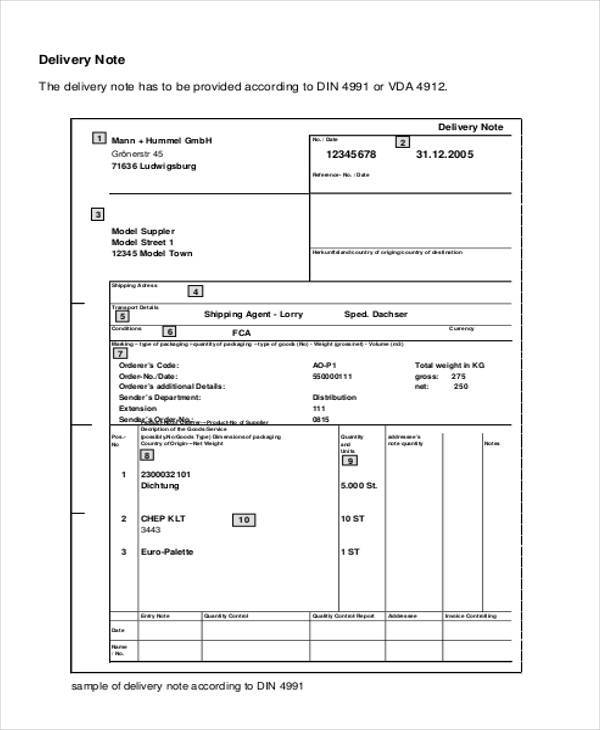 A delivery note serves as a proof that a certain package has been delivered and received by the customer who ordered it. It serves as a means to bring the goods or the items out of the warehouse. Used as a checklist of the items that are inside or enclosed in the package. Determines why a specific item is not enclosed in the package like it is out of stock or unavailable. 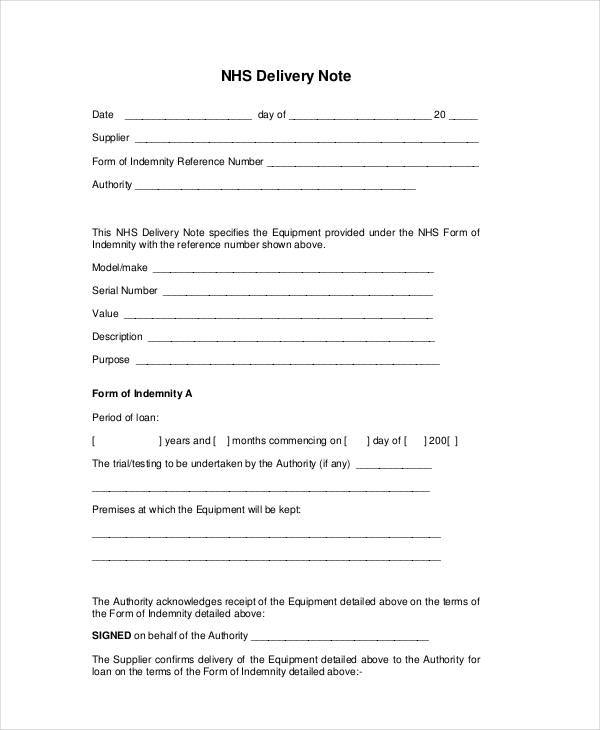 Instead of making your own delivery note, you can download any of the 10 delivery note templates and use it as your own. If not, then you can still use the templates as reference for making your own together with the steps below. 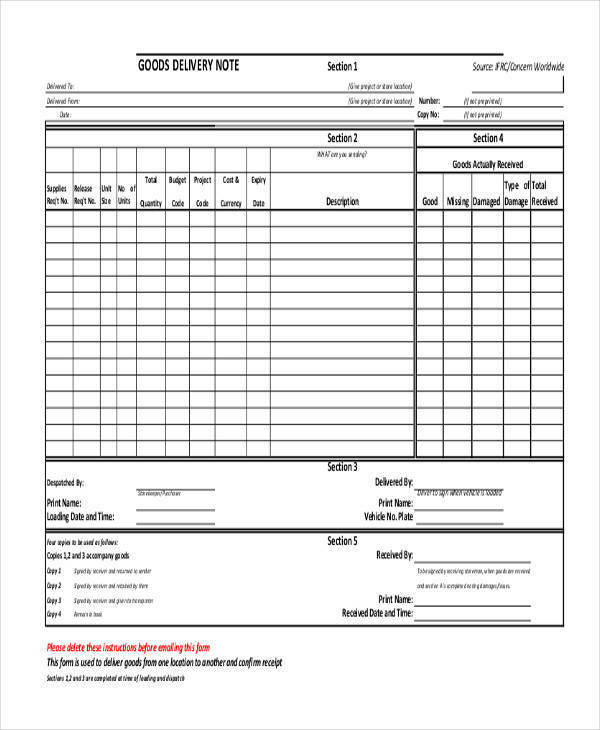 Start off with preparing the sheet by setting the paper size, the margin, and the layout for your delivery sheet. Take a look at the number of items to be put in the sheet. Draw the table column and the table rows that you need and label them accordingly, like the description, quantity, and price. Write the items and their details in their respective rows and columns. Do a final check on the package to make sure that it has all the items listed in the delivery note before sealing the package. Attach the delivery note to the package or put in the file for deliveries. 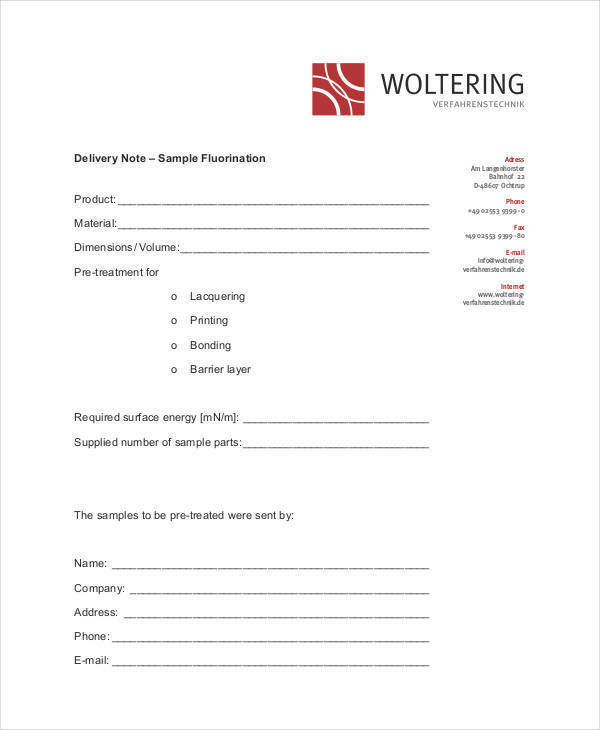 You might also be interested in progress notes and consignment note samples. 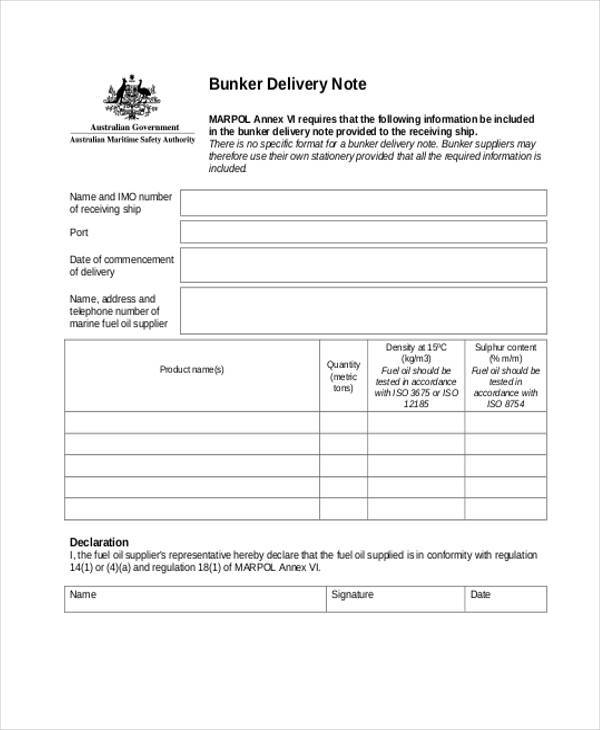 What Does a Delivery Note Consist Of? 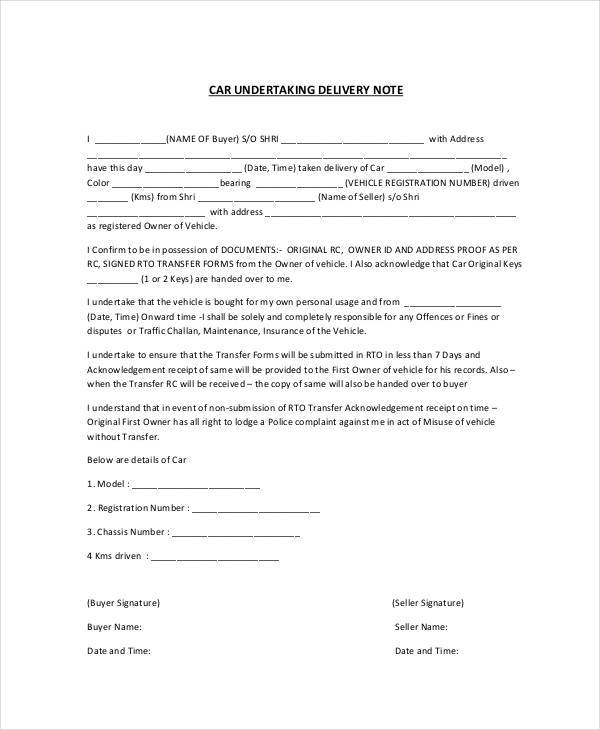 What Are the Benefits of a Delivery Note? 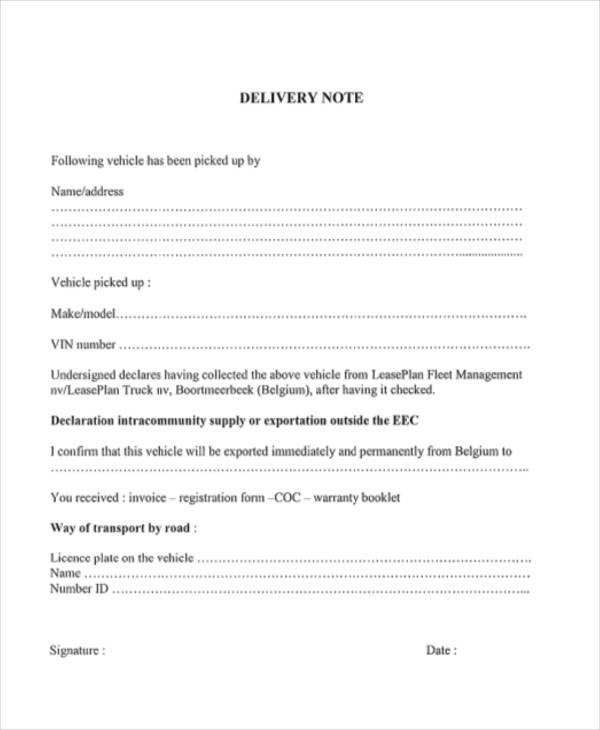 A delivery note allows both seller and buyer to keep track of the good that they have purchased. Can be used as a checklist of the goods or items that are enclosed in the package. Can help identify if the ordered items were delivered or not. Includes details about a missing item and why it is not included in the package. Some of the reasons would be out of stock or unavailability. Provides details on who received the package and if it is in good condition. Also take a look at our mortgage notes and patient note sample.